Fields of greens at the Sakata Trials in mid-August, 2017. 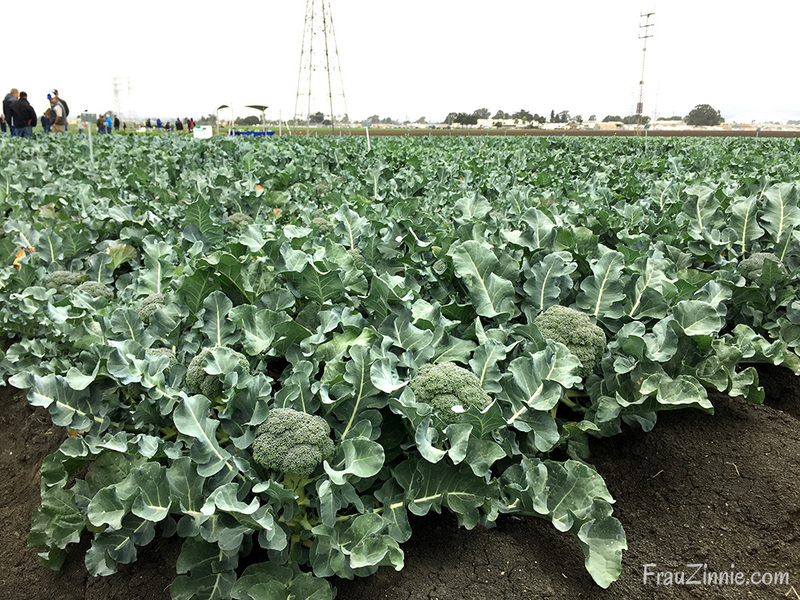 Several varieties of broccoli were at full size when we visited. To be honest, I never gave much thought to all the work that went into creating the different flowers and edibles that grow in my garden. I took for granted that every year new varieties were introduced in the seed catalogs that would flood my mailbox. 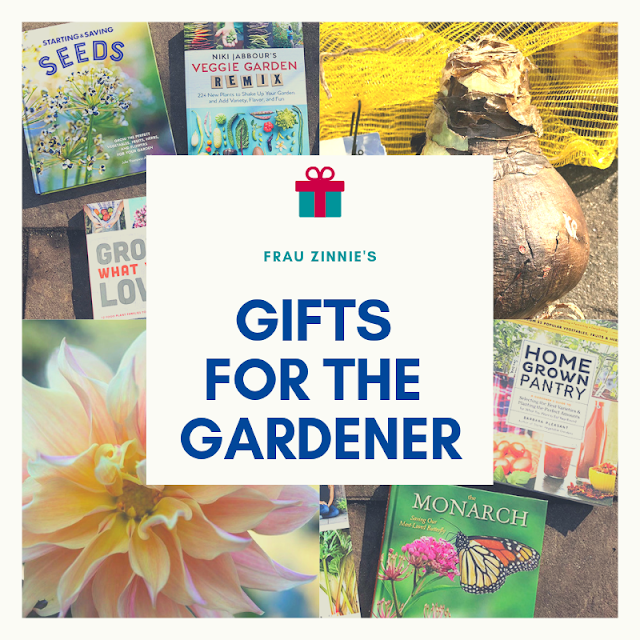 Choosing what to grow in the garden is a relatively simple process for the home gardener —read the description, check the photos, and maybe even read other gardeners' reviews. 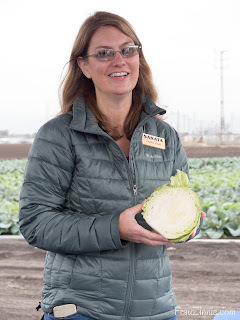 Back in August, I had an amazing opportunity to travel to California and attend the Veggie Trials — an "open house" held by major seed companies. I was sponsored by the National Garden Bureau as a #NGBPlantNerd, and within five days we traveled to multiple locations in California to see new and reliable varieties of vegetables. It wasn't until I was in the middle of this week that I realized how much I didn't know about the plants I grew. 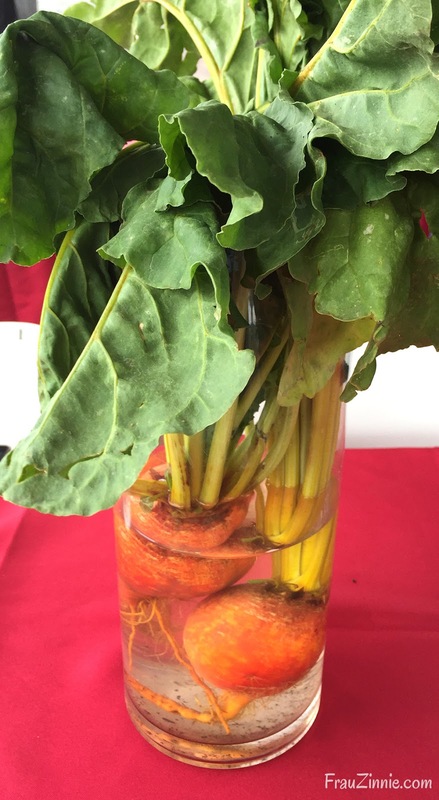 Gold' beets on display at the trials. 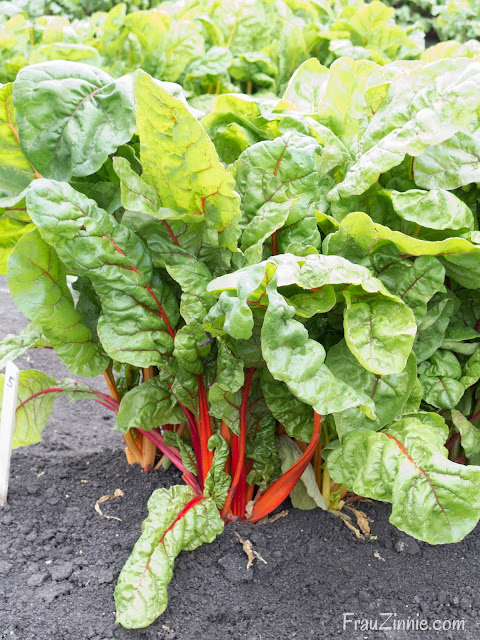 For example, there are a ton of varieties that are introduced each year, but only the best-performing move along to the seed market, which is basically sectioned off into two areas: one for commercial growers and one for the home gardener. 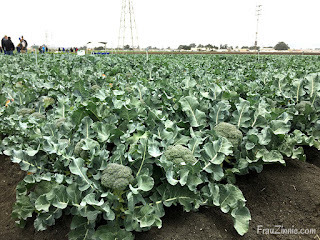 While in California, I had the opportunity to see, feel, smell and taste new edible varieties that will be available to home gardeners either next year or in the coming years. Some varieties were not even officially named yet! Now is the perfect time to plan your 2018 garden. This is one of several posts I will be writing based on varieties that impressed me during my trip to California. You may have already read the story on the 2018 All-America Selections winners — I saw those in their trial grounds during this trip as well! To read that story, click here. We started our trip in the Salad Bowl of Salinas, California and eventually ended up in Sacramento, California. One thing that stood out to me was how the soil in the different locations was so remarkably different. In Salinas, the soil was rich, crumbly and dark-chocolate colored — the textbook definition of what perfect soil should look like. (We were all jealous!) The cool-weather crops, such as cabbages, lettuce, broccoli and spinach, thrived. That morning's host was Heather Kibble, Sakata Seed America's Home Garden Vegetables Division Manager, who led us around the field to show us highlighted crops. 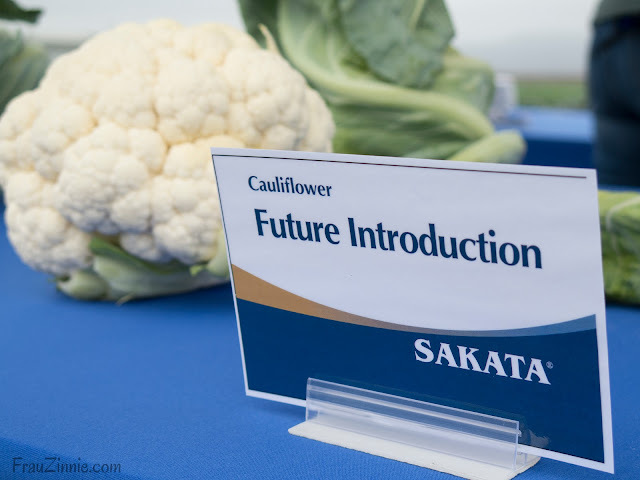 This vegetable trial was one of six that Sakata hosts throughout the year to display new and existing varieties, so growers can "see the products first hand." The additional trials are held in different parts of the country, including Florida, upstate New York and northern Washington. 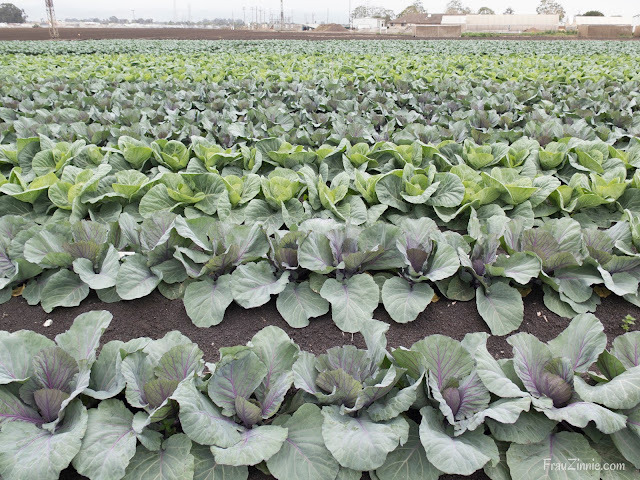 Multiple locations are used for testing varieties — this ensures the plants perform well all over the country. 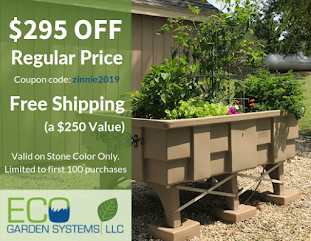 The varieties we focused on were available for the home gardener, and many seed companies should be selling these plants in their 2018 catalog. 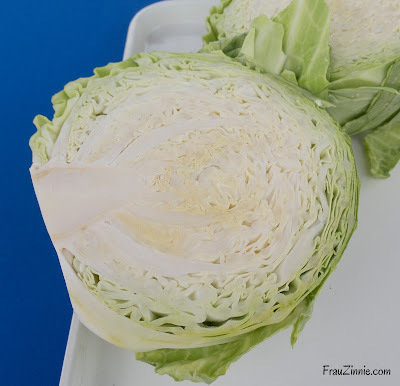 'Primo Vantage' cabbage sliced for viewing. 'Touchstone Gold' has a nice yellow color. Touchstone Gold: This bright yellow beet tastes sweet and won't stain as much as a red beet will. 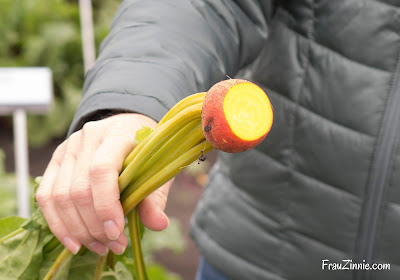 This variety surprised me with it's crunchy, raw and sweet taste when we sampled it raw! It is a mid-to-late maturing variety. Merlin has a nice red color. Merlin: This is another sweet beet that has a high Brix. The root is globe-shaped and smaller, which makes it easy to tuck into open spaces in the garden. It also produces good-looking tops. 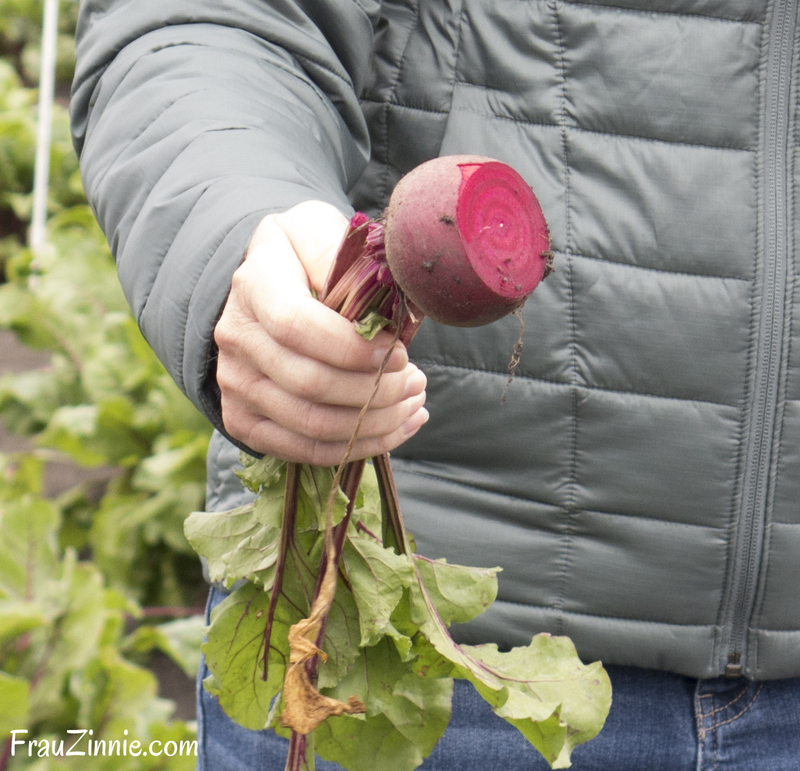 By the way, did you know that it is the Year of the Beet according to the National Garden Bureau. 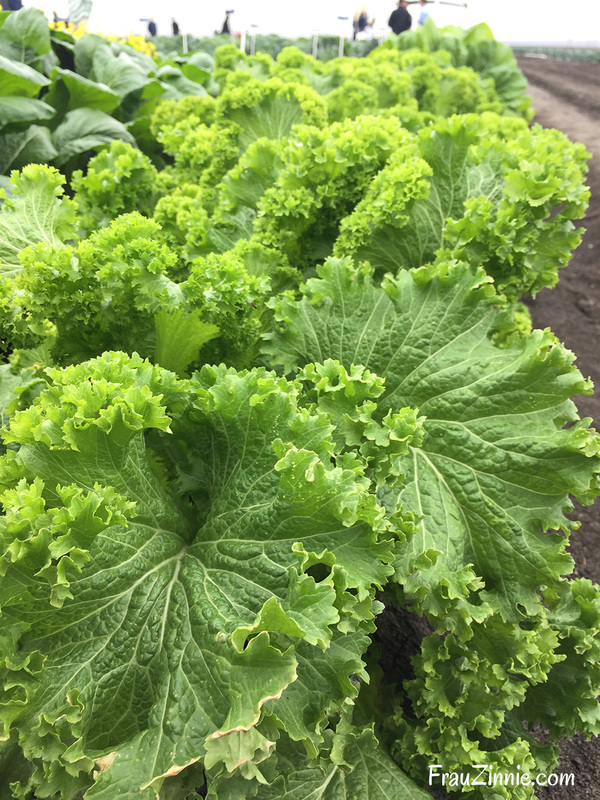 Imperial: This heat-tolerant variety can be harvested in the summer and early fall, which stretches the growing season for this cool-weather crop. 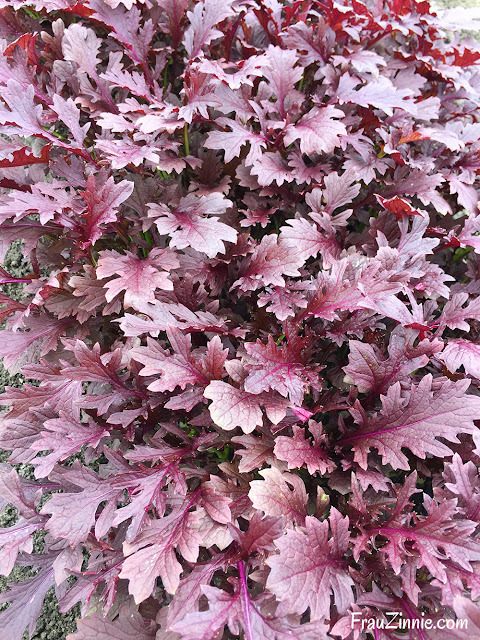 Miz America (Mizuna): Popular in Japan, this plant has an upright growth habit that allows it to be easily harvested. The deep red color is stable throughout maturity. It also does not have a bitter taste. 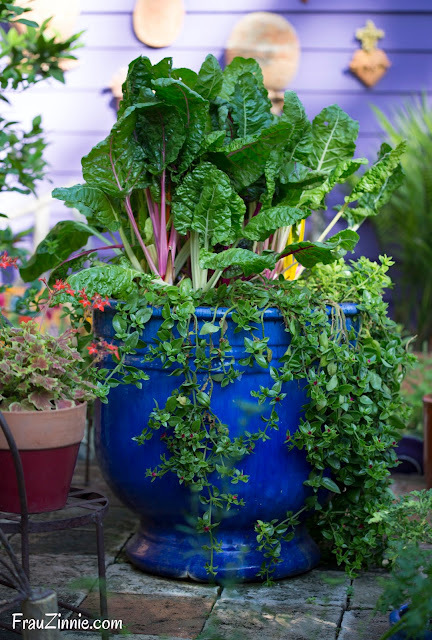 Can you imagine it being used in mixed container plantings? 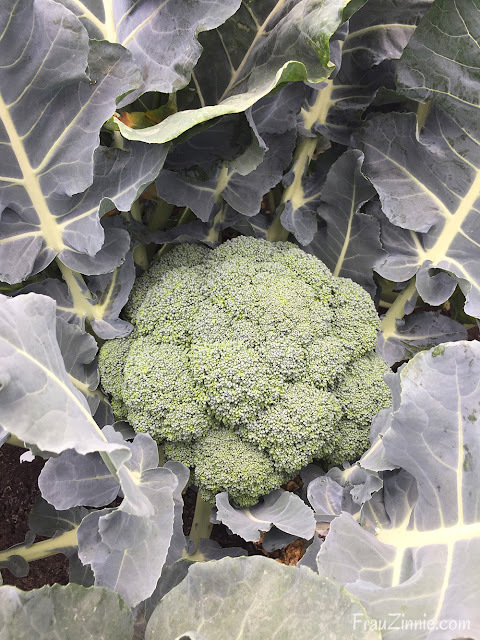 Southern Giant Curled: This also has an upright growth habit, which makes for easy harvesting. Its large, curled leaves are slow to bolt. This is another attractive edible that could be interspersed in the garden. 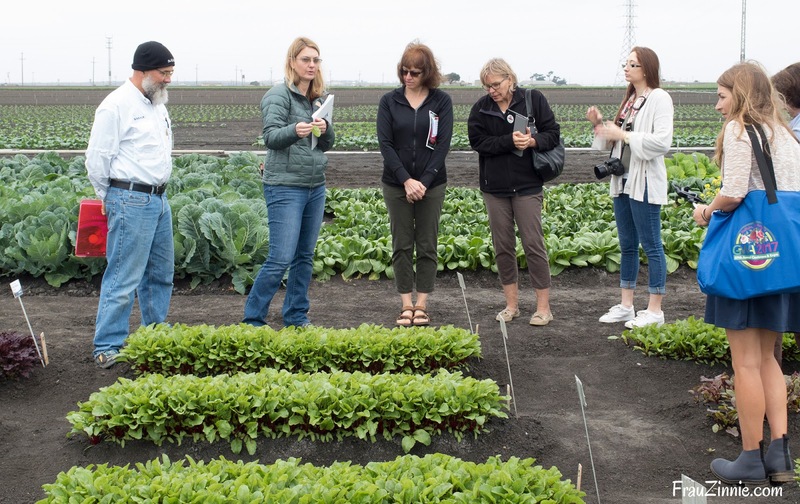 Learning about baby spinach with Bill Johnson, Sakata Seed America Spinach Breeder, during the Sakata Trials in Salinas, California in mid-August 2017. Baby leaf version of 'Seaside' spinach. Seaside: This baby leaf variety has a moderate growth rate and produces smooth, thick, dark green spade-shaped leaves. It takes about three weeks to reach harvesting size. Most importantly, it also has downy mildew resistance. 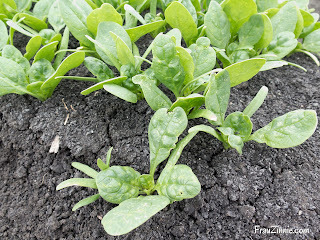 (Did you know that downy mildew is the reason bagged spinach at the store will turn into slime? That's because downy mildew is a disease that continues to grow in the bag.) 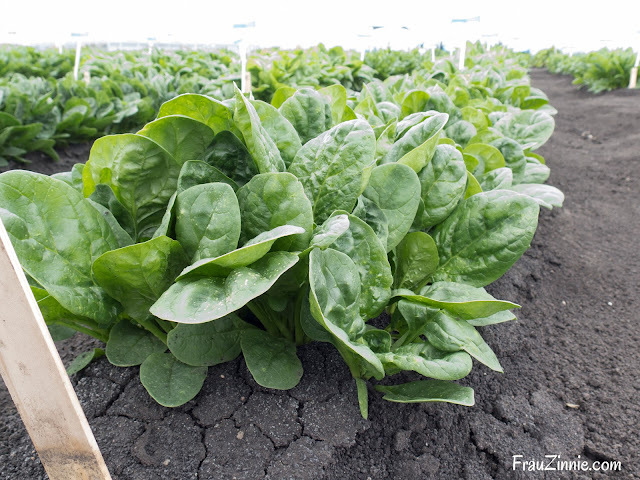 According to Bill Johnson, spinach breeder for Sakata, the ideal spinach leaf should be bite-size and dark green, with a "pucker" in the leaf. 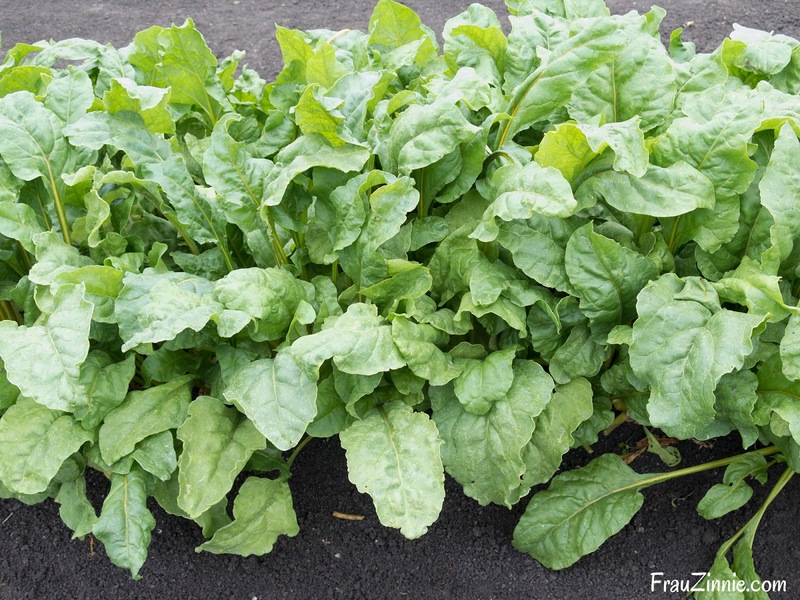 Spinach is best sown where you want it to grow, since it doesn't transplant well. Peppermint: The pink and white striped stems would look pretty in the edible garden and even weaved in as a colorful border in the ornamental garden. If you're not too focused on the stems, you'll notice the dark green glossy leaves. Bonus: This variety is bolt tolerant. Celebration: This multicolored stem Swiss chard can also be used for a flashy border, producing red, yellow, orange and pink stems. 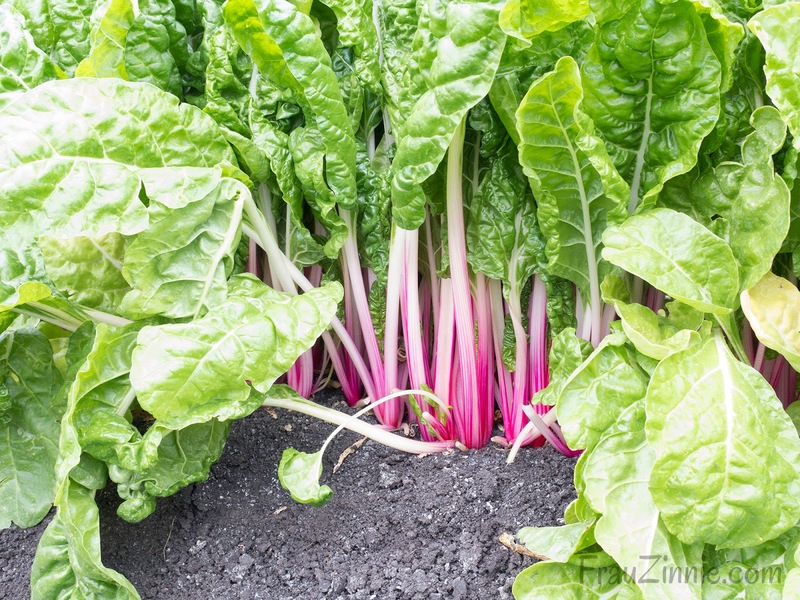 Like spinach, Swiss Chard is best started where you want it to grow, since chards do not transplant well. Here's a sneak peek at future variety that will be released but is not yet named. When shopping or growing cauliflowers, it's important to look for a white "curd." Traditionally the curd turns yellow when the sun gets through the interior leaves (this is why the leaves are usually wrapped around the curd and tied at the top with twine). This new self-blanching variety (above) has "wrapper leaves" that cover up the curd, creating a dense, heavy curd which equals high yields. I'll be sharing more vegetable varieties that I discovered in my next post. Stay tuned!